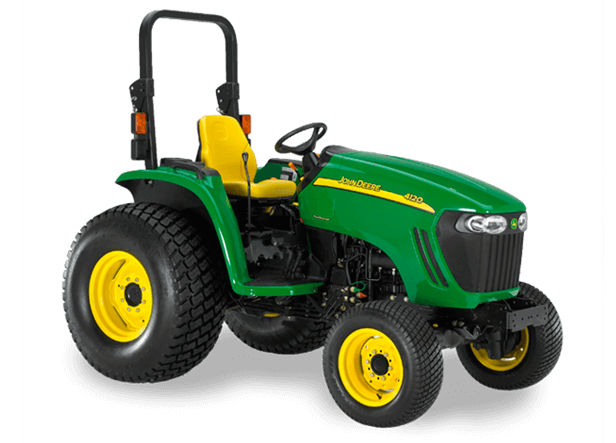 The 4120 Compact Tractor gives you a 43-hp John Deere PowerTech™ Engine, 12 forward and 12 reverse PowrReverser gears and optional eHydro transmission, and a standard folding ROPS, 4-wheel drive and load match. 12 Forward /12 Reverse PowrReverser gear trans. Loader lift capacity 2,194 lbs.